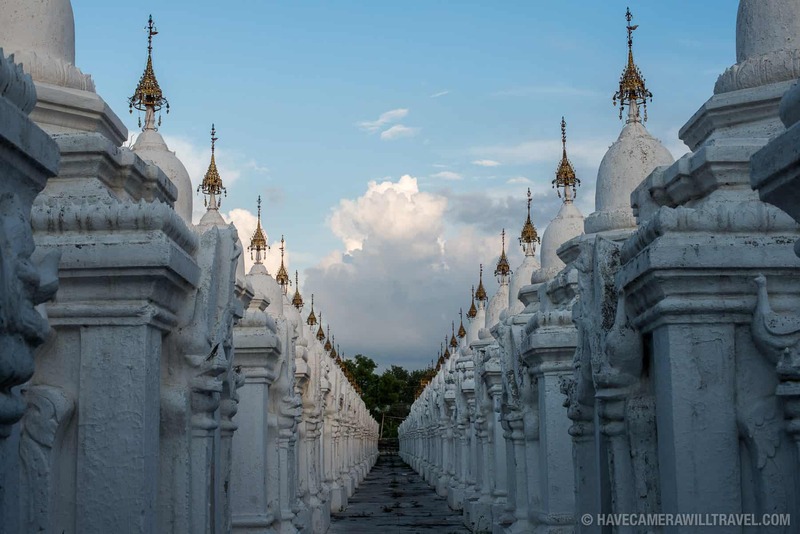 Many of Myanmar's pagodas are very, very old. But they're also living monuments. Many of the ones in the Bagan Archaeological Zone are protected and are now frozen in time, but others elsewhere undergo constant regeneration and change. That's thanks to the strong tradition of donors. 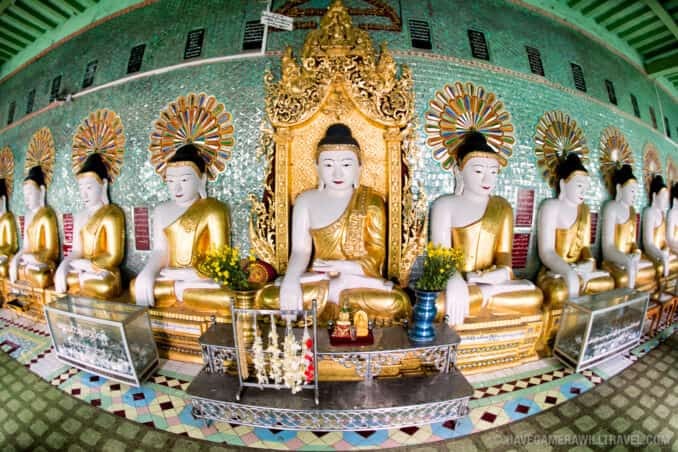 Give enough money and you can have a say in paint colors, adding tiles, or any of the thousands of design decisions that might go into making up a pagoda. 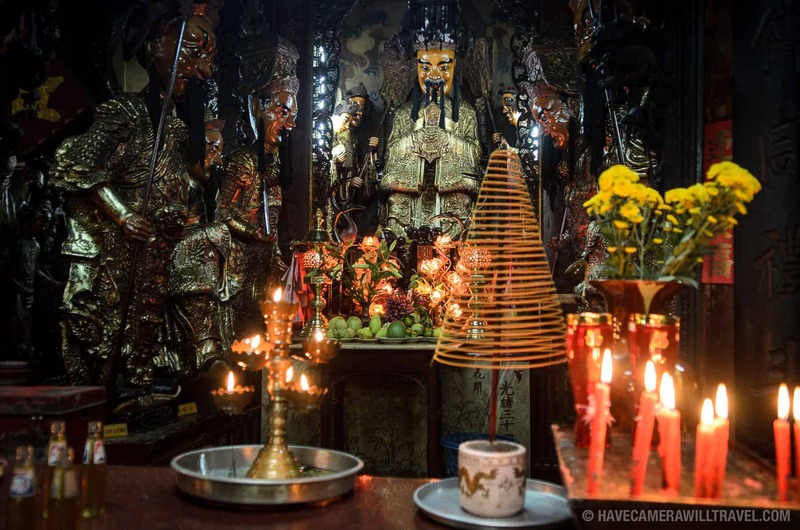 Even for small donations, many temples have glass donation boxes where each is designated for a particular purpose. Oo Hmin Thone Sel Pagoda is a prime example. Generous donors have allowed for recent renovations that have added new coats of paint, added many thousands of green tiles, paved the sweeping patio, and refreshed the artwork throughout the complex. The result is both resplendent and decidedly busy. 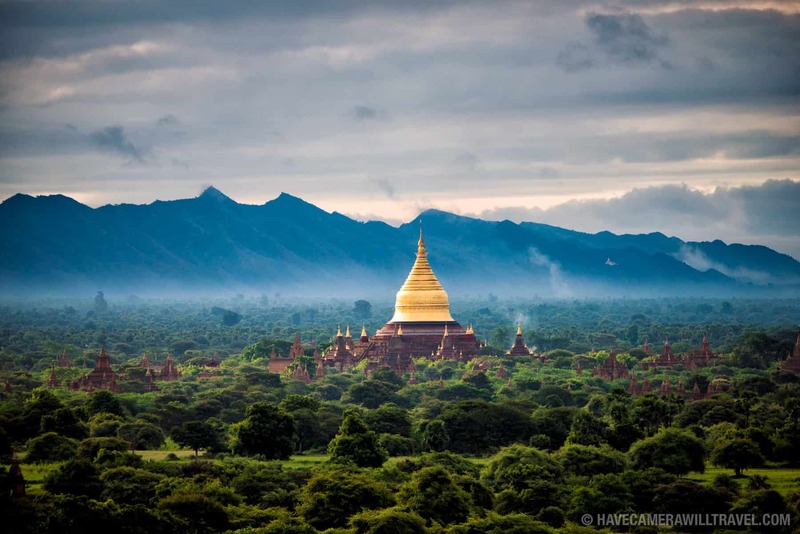 The pagoda stands on the top of a hill--Sagaing Hill, as it happens--in the religious district of Sagaing, across the Ayeyarwaddy River from Mandalay, a compact area that is home to many, many temples, monasteries, and nunneries. 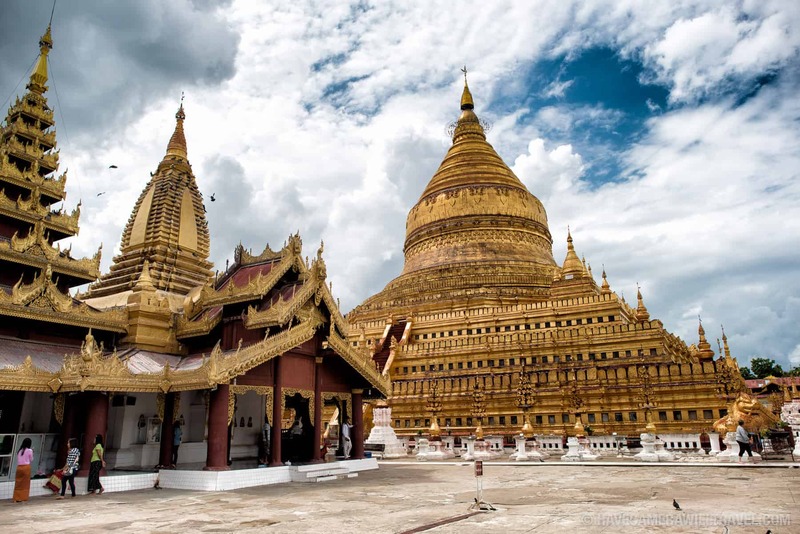 For a short period in the early 14th century, Sagaing was the capital of the Shan kingdom. 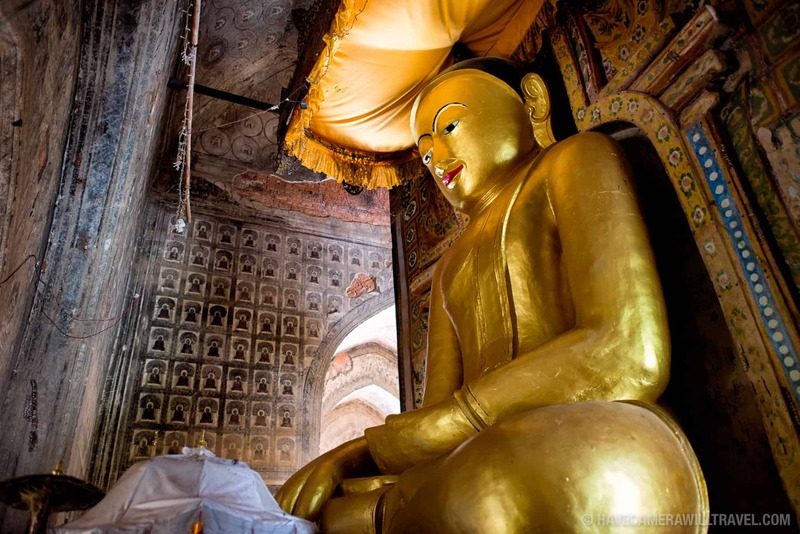 Now it's known as a spiritual heartland, home to something like 6,000 monks and nuns. 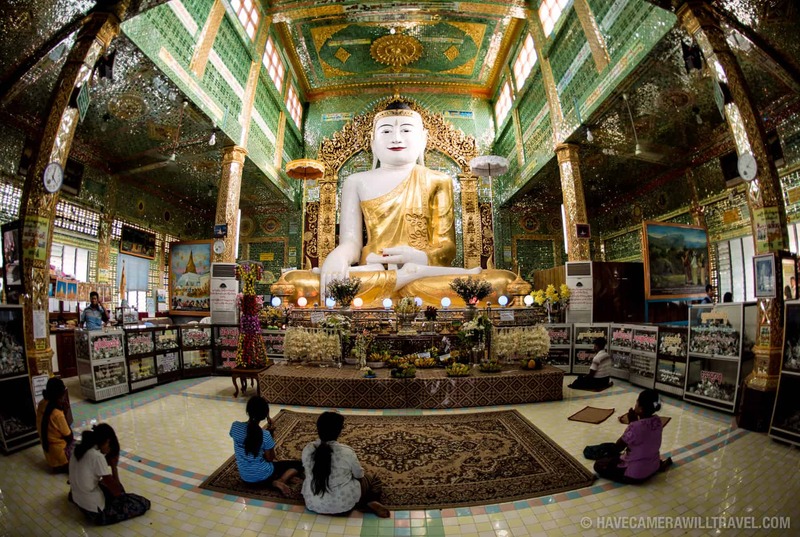 The layout of Oo Hmin Thone Sel Pagoda isn't your typical temple layout. It's a large crescent looking out southwest from the hillside over the surrounding countryside. It's not actually a cave, but when you're inside it feels a bit like you're in a long, shallow cave carved into the mountainside. It isn't what you'd call plain. There's the intricate geometric patterns of the tiled floor and the reflective jade-colored tiles of the walls. The outside is filled with dozens of small doorways, each rimmed with ornate golden designs. But the main feature is a row of almost 50 statues of the Buddha that line the wall looking out. They're all nearly identical visually, but each has its own significance. They stretch out around the gentle curve of the cave, so that you can't see the end of them if you stand at once end of the room. This is a hilly area, and there's a short walk uphill to the main pagoda through a covered market area.